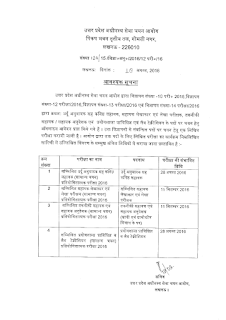 Uttar Pradesh Subordinate Services Selection Commission (UPSSSC) is going to conduct written test for Assistant Accountant (Sahayak Lekhakar) & Auditor (Lekha Parikshak) posts. The written exam is scheduled to be held on 11 September 2016 (Sunday) for which dates will be announced shortly. Earlier Uttar Pradesh Subordinate Services Selection Commission had invited applications to fill 2172 posts of Asst. Accountant & Auditor via Advertisement no. 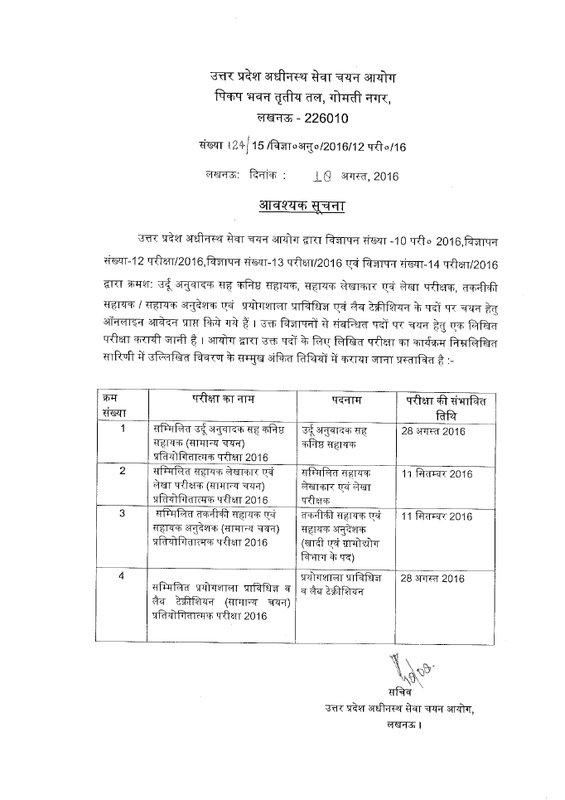 12-exam/2016 in various departments of UP Govt. Now the latest news is that the Admit card of UPSSSC Assistant Accountant had been released around 3 September 2016. Those candidates who had applied, can download UPSSSC Assistant Accountant Exam Admit card here after they got available. Uttar Pradesh Subordinate Services Selection Commission will organize written exam for Assistant Accountant posts at various centres in Uttar Pradesh. For that, admit card are going to be released soon. Candidates have to download UPSSSC Assistant Accountant admit cards from link given below as they will not be sent by post. You can find exam venue, roll number, date and time etc. shown in the hall tickets. Earlier Uttar Pradesh Subordinate Services Selection Commission had invited applications for Assistant Accountant posts. The written examination of Asst. Accountant / Auditor consists of MCQ based questions in which 4 options are given and candidates have to select one as answer. The paper will contain 180 questions of 1 mark each. Time duration for solving the paper is 02 hours 30 minutes (150 minutes). Those who qualify the written examination will have to appear for personal interview which carries 20 marks. The candidates can download their admit card from UPSSSC website upsssc.gov.in from here. Intimation regarding the released of admit card and written test date may be provided on candidate's mobile and email. In order to download the admit card for UPSSSC Assistant Accountant exam, candidates should visit above link. Then candidates need to enter their registration no. date of birth and select gender then click submit. The UPSSSC Assistant Accountant Admit card 2016 will be shown after doing this.